We are a modern WI with lots of fun events planned and plenty of burgeoning sub-groups too from craft groups, book club, walking through to supper club at local restaurants and cafes. We meet on the first Thursday of every month (apart from January which will be held on the 10th) from 7.30pm until 9.30pm at the Luxford Centre in Uckfield to enjoy various activities and speakers. Previous meetings have included Gin Tasting, Yoga, Golfing, fantastic speakers and our extremely popular wreath making. From the outset Uckfield WI wanted to be active in the community, we support local events from the Holy Cross Festival of Trees, Uckfield Late night shopping events and Remembrance Day service. In addition we wanted to help a local charity, raising money throughout the year with different events. Our members chose Demelza, the charity supports families whose children have a serious or terminal condition, Demelza provides specialist care and support, throughout East Sussex and Kent. 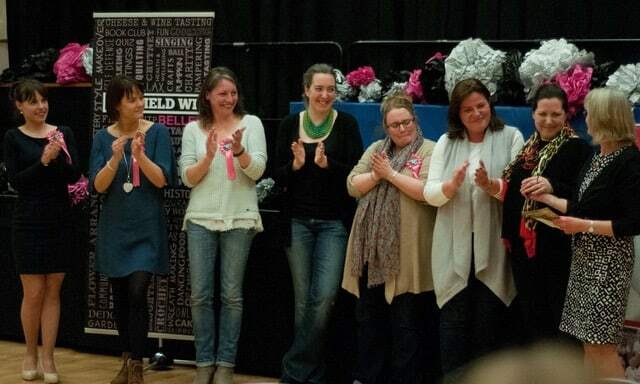 So far Uckfield WI Belles have raised nearly £5000 and will continue its partnership with the charity.